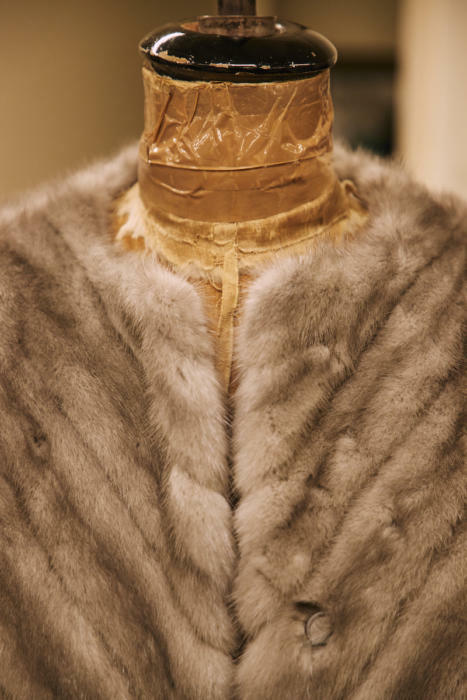 Following our discussion before Christmas about waste in the clothing industry, I was interested to learn about the remodelling and re-use of fur at Yves Salomon. 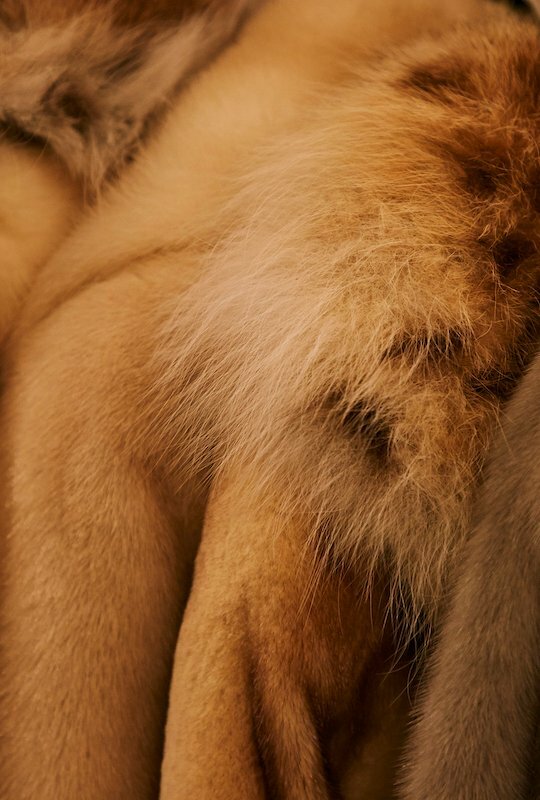 Yves Salomon is one of the best fur workshops in the world. Based in Paris, it makes coats for many of the big fashion and couture designers. Just over a decade ago, it went through a transition we’ve seen across menswear, of shifting to becoming a brand - with its own design and retail. This makes its products good for value for money compared to those designers. However, most of them will not be to the taste of Permanent Style readers, being too fashion-led. What's more interesting is that as part of opening a new store in London, Yves Salomon kept on the fur workshop downstairs. The shop they took over, on Conduit Street in Mayfair, used to be Hockley. Hockley was once a mainstay of luxury fashion in London, selling its own coats but also making on the premises. It was part of a network of craftspeople in London that included General Leather Company (now Cromford), among others. Yves Salomon took the opportunity to buy Hockley’s space when it was closing down and kept on the leather workshop, adding its makers to the team. 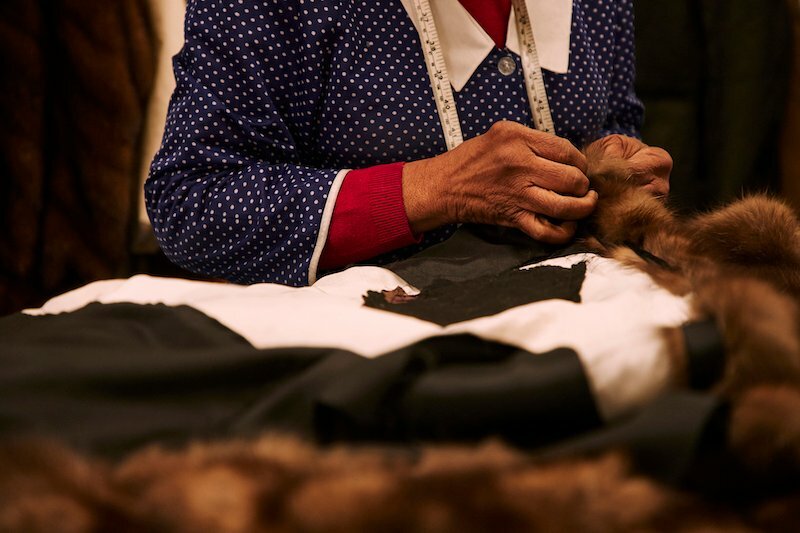 So as a result we have a reinvigorated luxury workshop in the middle of town, able to do everything from create fur linings to repair old coats, as well as design new ones. Now, I’m not going to get into a discussion here about fur in general. I’d love to have one, but I think it should be saved for a post that has space to explore it fully. For the moment, suffice it to say that plastic clothing such as faux fur is no kind of alternative. Gaining PR points by pushing disposable versions of this is something the fashion industry is particularly guilty of. An informed and balanced discussion on these topics would be great at some point - perhaps even as a Symposium. At Yves Salomon, the piece that impressed me most was a coat made entirely of scraps (above). A pale yellow colour, on the outside it looked just like a textured fur. But on the inside, you could see how all the small pieces had been painstakingly sewn together, in order to make something out of cut-offs. Looking at the size of that bucket, it was hard not to recall the various suit and shoe manufactures I’ve visited over the years, which will often have piles of wool or leather scraps built up in the corners. Of the various coats being worked on around the Salomon workshop, most were remodelling jobs: where a customer brings in an inherited coat to re-cut into something new. Women often bring in their mother’s or grandmother’s coats to have them remodelled. The grey mink below, for example, was made from a third-generation coat that was cut with new, diagonal panels, and given a hood. Sometimes coats are too short for a new owner, in the body but particularly in the sleeves. Coats can also be merged together. Indeed, a coat using more than one colour might look rather more contemporary than the original. Small pieces are re-used for gloves, muffs or boot linings. From a style point of view, I’ve never been a big fan of the way fur is used in menswear. It’s not too bad on the collar of a leather jacket, but on the lapels and collar of an overcoat, it always looks too showy. Much better is using it as a removable lining. Fur is incredibly warm, and doesn’t have to be that thick. 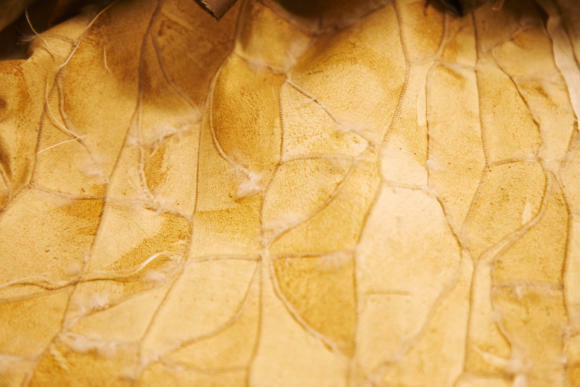 One of the reasons mink was so popular was that it could be quite thin, and therefore line a coat without adding much bulk. I’m not sure it would work to add a lining to a bespoke overcoat, unless it was cut with that layer in mind. The coat would likely already be cut too close to the body. However, a fur lining can work well in looser cut jackets or coats - which is how I decided to commission something. My vintage field jacket has long lost its lining, but still has the buttons inside to fasten one to. 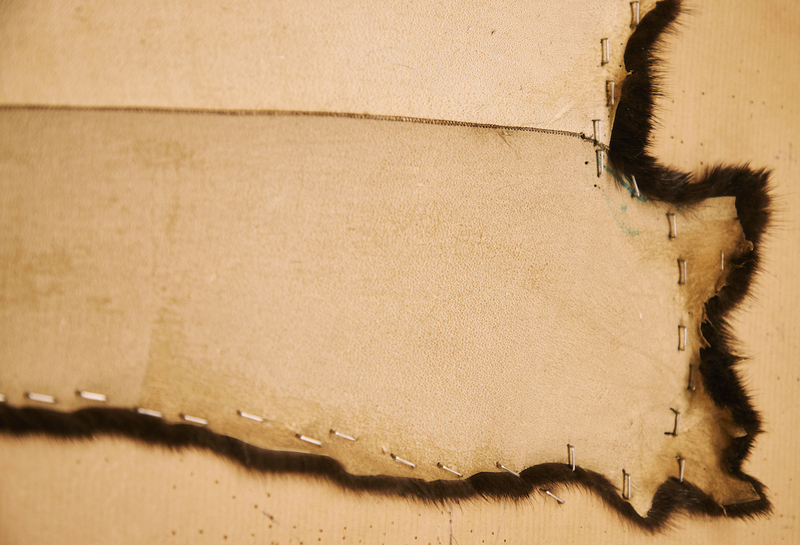 So we decided to make a fur lining that could be attached to them. It will be made out of re-used rabbit fur, which is not as expensive as mink or sable and has a lovely variation in its colouring. And, importantly for me, it will be set back rather from the front edge. This will mean that even when the jacket is open, the fur will barely be visible. Like many of the best things in menswear, it will be something usually only I will appreciate. I’ll follow up on that, and the craft side that goes into making such a piece, later in the year. 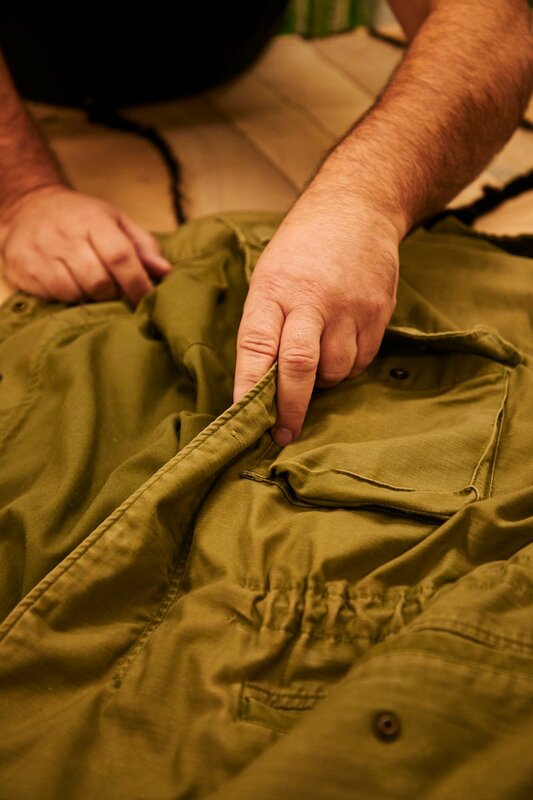 In the meantime, I highly recommend going in and talking to the team about any old coat you might have, whether to repair or re-make. Contact details here. Few things are more satisfying that finding a new use for - and therefore new value in - something so beautiful. You can follow the discussion on Yves Salomon: re-using, remodelling fur by entering your email address in the box below. You will then receive an email every time a new comment is added. These will also contain a link to a page where you can stop the alerts, and remove all of your related data from the site. I usually appreciate everything you write, Simon, but feel this piece is sorely lacking in any mention or exploration of the ethics surrounding the fur industry. Namely the industrial farming methods. I’m sure you’re aware of the critiques. The way companies get fur is not the same as how they get leather. Animals are often cruelly treated, beyond what even happens at slaughterhouses. Hi Anon. As mentioned, I have deliberately not gone into a discussion of that in this piece, because I want to do it justice in a full article. Discussions of fur are rarely that balanced or informed, as I’ve discussed previously around culling and environmental impact, and it deserves something bigger. Thanks for the comment, and it would be great to have your views on that piece. Fair enough. I wish that piece came before this one because it feels like such a glaring hole in this topic, but I look forward to your longer post on it. I hope that piece will interview academics and policy leaders, not people in the craft or fashion trade, who are ultimately just trying to sell people things. Yes good point. That was the reason I did the piece on Indian labour before fulling reviewing 100 Hands. It will certainly involve interviewing both academics and campaigners as well. Personally, I’d have written and published the ethical piece first (as with India). I would never buy new fur. But I always like the idea of re-using things and getting long-term value – it’s a much more responsible way to live. Given the sensitivity of the whole fur debate, why even bother writing a piece like this, even with your caveat? Most readers will misss your point because it will be overtaken by the wider view on the use of fur. Quite surprised by your choice. Long time reader – but as I am not in a position to afford bespoke I have never felt confident commenting – till now. I applaud making demands of the readers intelligence. Posting this piece first is not an issue – Yves Salomon exists and the piece gives us an insight into their work. And their work looks beautiful. Simon clearly states that the ethical component deserves more time and space. And as a person who has not yet chosen a camp (pro or anti fur) I do hope that both sides can respectfully voice the logic behind their choices while keeping heated emotions within check. Balanced debate, backed with the proper sources and facts is a quality I really appreciate about this site and community. Both camps can see this as an opportunity to respectfully sway some of us neutrals. It’s comments like that that give me the confidence to make those demands on readers Rafael. Thank you. Let’s raise both the tone and the quality of debate. Like Rafael I’m also a long time reader and am not in a position to afford bespoke as I’m both a young man and a poor postgraduate student. I’ll save any full comments regarding my opinions on fur for the forthcoming article where they’ll be better placed, suffice it to say that I am personally torn between my personal distaste for the fur industry and my love for vintage clothing for both ethical and sartorial reasons. In relation to this, I think it would be very interesting in that article to also touch upon your views other materials used in antiques and the question of whether buying them vintage and thereby sustaining a market for them is offset by the fact that they are already made and ought not to be wasted. As a musician, examples I’ve personally grappled with and found myself unable to quite come to a decision on are ivory keys on older pianos and, to a lesser extent, Brazilian rosewood fretboards on vintage guitars. If you (quite understandably) think that the fur debate is large enough that it ought to be addressed on its own I would be interested to hear if you’ve encountered the same issue at some other time, perhaps even its own small article? Also on a more general note thank you for the site – it’s a wonderful read and has really broadened my perspective on clothing over the last couple of years. Those are really interesting points, I hadn’t thought of this in such a broad context. I think it might be too much for a fur piece, but perhaps good to mention at the least. Tortoiseshell glasses is a good one in menswear too. Thank you for not falling prey to naivete of the politically correct keyboard culture warriors. You should freely post what you feel and not feel the need to censor reality to fit the preconceptions of online culture warriors with one sided opinions. Simon, Thank you for addressing this topic. My wife’s interest has always been in vintage consignment furs because she finds the mid-century designs to be classic. For the past 10-20 years we’ve seen so many parkas/jackets with hoods trimmed with faux fur and they visually cheapen the garment in my opinion. 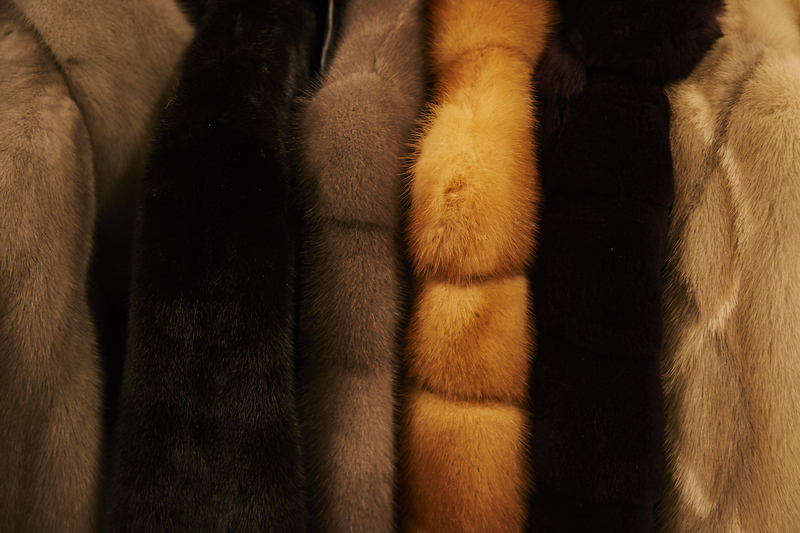 The faux fur gets matted, flat, thin and quite fake looking. Then we see a Canada Goose or other higher end brand that utilizes fox fur to trim their hoods – and the visual quality is immediately obvious. Reducing waste in the fur industry is a great idea. Better to see small amounts of real fur patched together in a tasteful fashion, than to see faux fur. Just an opinion! Shame there isn’t a like button for your comment Simon. I totally agree. Wage on into the world of something controversial! Besides, I’ll bet most of the readers are fairly well-educated and a post that is a well-informed treatment of such a topic is very worthwhile when strong emotions often easily overpower balanced perspectives. Your piece makes it sound like this is something new. But both fur and fabric have been used in this way for centuries. Plenty of examples in museums. Your historical consciousness would be well buttressed by better reading comprehension. The piece explicitly acknowledges the reuse of furs before the 1960s. Passing them on is not the same as recycling the fragments. I think you are absolutely right not to get involved in the ethical issues here. PS readers are adults and we can all do our own research and make our own minds up on these things. We don’t need to be nudged in one direction or another. This post acknowledges the issue but simply informs us of an interesting new luxury tailoring outlet that we may, or may not, wish to make use of. The post pays the readers respect by not lecturing us. Thanks for that. I hope PS will continue in this vein. Issues like this are important should not be ignored, but I really don’t want to read polemics dedicated to links between tailoring and climate change, third world poverty, or God forbid – Brexit. This seems like a strange position to me given that clothes are inherently political and social items. Moreso than other areas of commercial life. We wear clothes to make political and social statements, show our identities and values, and fit into political and social spaces. And the kind of ethical consumerism that Simon champions here, urging readers to buy less, buy better, is inherently political. I applaud him for that. Seems like the adult thing to do is to be able to read these things without feeling like you need to be sheltered from such views. Thank you very much for this post, I had not heard of this brand before and probably would not have come across them on my own. On this note, my mother has a fur coat she does not use and I have always thought that making an overcoat and using the fur coat as lining would be a good idea, what do you think in terms of style/practicality? Obviously it would be a special occasion coat, not something for the office! I think that would be a nice idea on the overcoat Nick. The lining can be removable, and virtually hidden when worn, but as mentioned this makes fitting slightly harder. Interestingly there has been press this week about a number of “value” retailers advertising garments made using faux fur which did, in fact, have real animal hair woven into it. As a long time reader of PS I am not even sure that it is the appropriate forum for a debate on fur or indeed any other contentious topic. Such debates nearly always end in tears for half the audience. I have just commissioned a pea coat and inserted small bits of mink cut offs into the jetted pockets – invisible to all but feels fantastic! I have to concur with Rafael in the comments he made and acknowledge clearly that Simon stated up front that there is a debate to be had on the use of fur, surely that should have been enough to appropriately position what came next in the way we readers approached the story. I am of an age where my mother and grand mother both wore fur coats; there was even a fox fur stole that had been passed down from my Great-Grandmother to frighten the life out of a young boy. In the early 1980’s I had a friend whose wife imported silk raincoats from Italy lined with mink or sable or whatever fur the customer asked for. They were exquisite garments in the quality of fabric and make and, if one was at all interested in clothing manufacture had to be admired. It’s really not helpful that too often today society applies how we think now to how things were done back then when it would be better employed learning from and appreciating what history gave us applying some tolerance along the way. I agree with the comments about addressing the elephant before it enters the room. It’s an obvious side-step to claim a latter ‘discussion’, whilst continuing to promote a product. As is the claim to readers intelIect in that they might agree with you (indeed a well-informed intellect would know only too well of the awful practices therein). I can see a relative value in recycling, the downside is that the fur industry, from any source, continues to attempt to normalise a product that for many, is unacceptable. There are arguments to be made for and against and there are many, many issues around fashion (forced plucking of feathers, box calving, illegal fur trade, smuggling of banned animals and products, massive pollution from tanning etc.). There may well be a place for fur but only when the ethics of farming and culling are addressed and only as part of a secondary process (a by-product therefore) of a primary food based purpose. Pelts from deer, sheep, cow, rabbit, horse, lama, camel etc. meet with this model. Mink, beaver, lynx, squirrel, fox, ermine, sable etc. do not. When you are questioning the use of fur on the lapels, are you including everything: Shearlings in addition and on the same level as mink/fox? In a big city like London, perhaps. In Northern and Eastern Europe during a very cold winter time, is it really out of place? It is certainly within traditions, being part of fulfilling the need to create a warm atmosphere. I’ve never had anything made of fur, not for ethical reasons, purely because I can’t afford it. I’ve not thought too much about the ethics either, I feel I hardly see it anywhere. I once saw 20 years ago a Versace (I could be mistaken on he brand) women’s fur coat for $100,000. I would be tempted to some of the N.Peal products that have fur, they look lovely. Please don’t forget before blasting away that although fur production can be cruel, do you partake in eating kosher or halal food do you eat line caught fish, do you eat cheap mass produced meat, or venture to KFC or ever thought I fancy trying shark fin soup. Sorry fur any offence I may have caused. You wrote a while ago that you rarely wear suits these days yet you berate the fashion industry rightly for their waste but forget to mention that your suits and other clothes which are now surplus to requirements are part of your own excess and waste.Perhaps,you should donate them to charity? Did you miss the pre-Christmas sale where I sold my things and gave to charity? I liked the article, and I may like the end result, but I can’t quite imagine combining fur with a military jacket, especially a vintage one. I don’t mind fashion in general, that’s not where I’m coming from, and I do like combining military clothing with other genres of clothes. But this specific combination neither seems to be interestingly different nor in keeping with the character of the jacket. I think three useful places for using fur in menswear are as lining in mittens and gloves, edging on hoods, and for use in winter hats. All rather utilitarian, cold weather uses. I like the idea of re-using and recycling fur. In Canada, our indigenous people would give thanks to an animal they had hunted for yielding it’s life so they could sustain theirs. Re-using fur extends that thanks on through generations. I look forward to the further discussion of fur, and hope that it can be calm and reasoned. It is a very polarizing topic. I have coats that I inherited from my mother-in-law and find the possibility of re-using her lovely coats, which are too wide and too short for me, very interesting. There are trade-offs everywhere. No tablecloths? But what about the noise, the spillage, the breakage? No fur? I understand the objections, but is leather really ethical, or is it just less objectionable than fur? And faux furs are objectionable in their own right for their wastefulness and use of petrochemicals. Even most vegetables require the death of the plant, leaving us with a diet of fruits and nuts that can be harvested while leaving the plant/tree intact. That is the logical extension of much of the challenges to “the way things are”. I didn’t quite understand what you were saying about tablecloths and noise and spillage, but I totally agree with you on the other things. Some people are happy with one form of cruelty while they are disgusted with other forms.